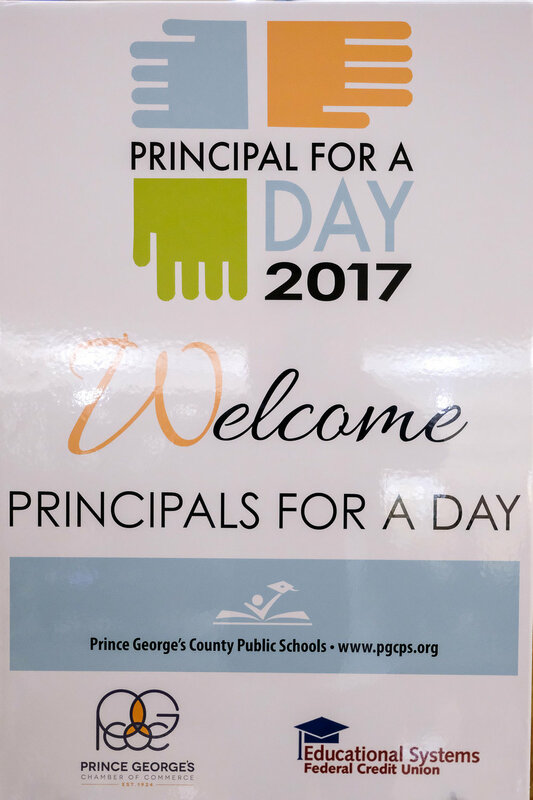 "The goal of Principal for a Day is to establish active business partnerships in every public school to help meet specific needs or provide enrichment opportunities above and beyond the core curriculum. Interested members of the business community are encouraged to take part." 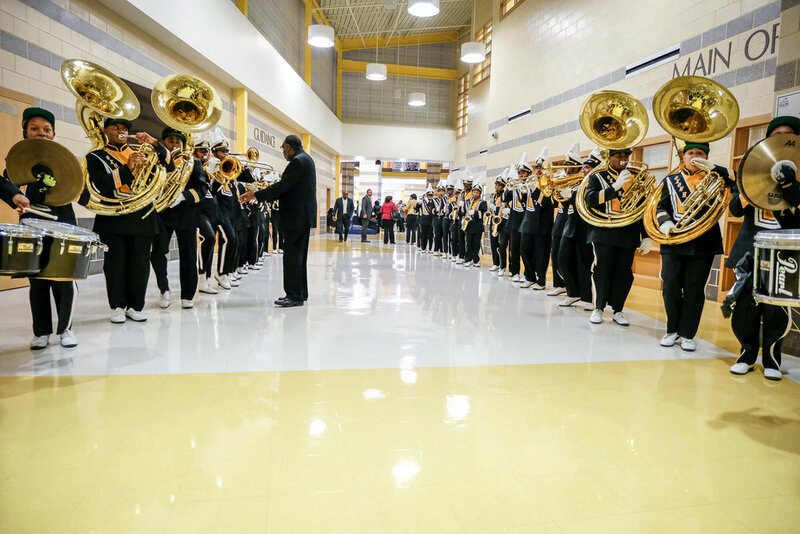 As soon as you walked in, you got a VIP reception from the band. These students looked and sounded great! I'm a proud graduate of Florida A&M University, home of the Marching 100. We've performed at halftime at the Super Bowl. We performed at President Obama's inauguration. We've been traveling the globe for decades. When nothing but the best is acceptable, the world knows to make a phone call to Tallahassee, Florida. That said, I know what a band is supposed to look and sound like. If this band wasn't on point, I would not be covering it in this blog like I'm about to. I gotta make this horn do what it do, bruh. Get in my way if you want, but I'm gon' still make this horn do what it do! ...I just want to bang on de drum all day!!! This lady was having way too much fun banging on her drum! Grinning ear-to-ear the whole time. I LOVE IT!!! So you walked in the door and got immediately greeted by the band. As soon as you got past the band, the choir had something for your soul. Front row seats to greatness. Enjoy it while it's free. There might well be a Whitney or a Jennifer or a Luther in that choir and that front row seat might be pretty expensive in a few years. You see those people off in the distance dressed up like chefs? This ain't Halloween and those people ain't playin' chef, they're the real deal! 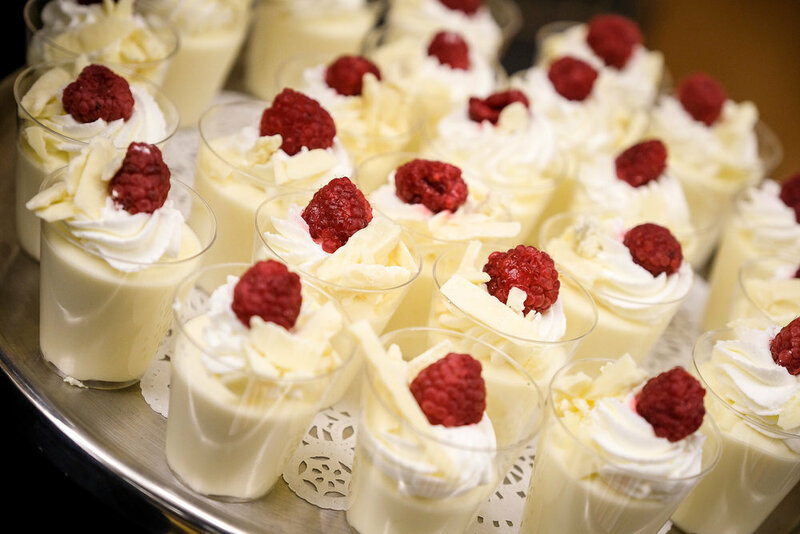 These are students in the Oxon Hill High School Academy of Hospitality & Tourism. A few words from the instructor and the students before the meal service. ...'cause he keep it cool. 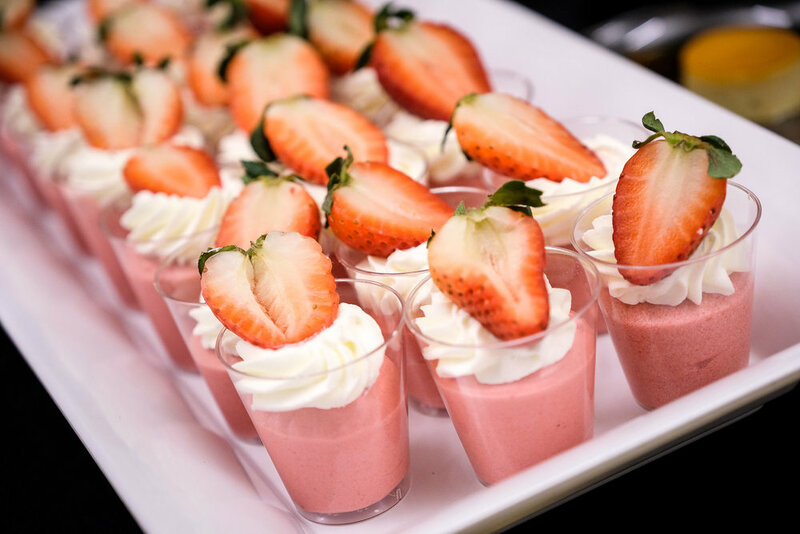 Did I mention there was a dessert table? Those students were not playing! Awwwww, look at the little angel. And look who's going you-know-where on a rocket! How you gon' throw up rabbit ears on a baby, man? A baby! It was a packed house and the students kept the show going from start to finish, each performance as impressive as the previous one. 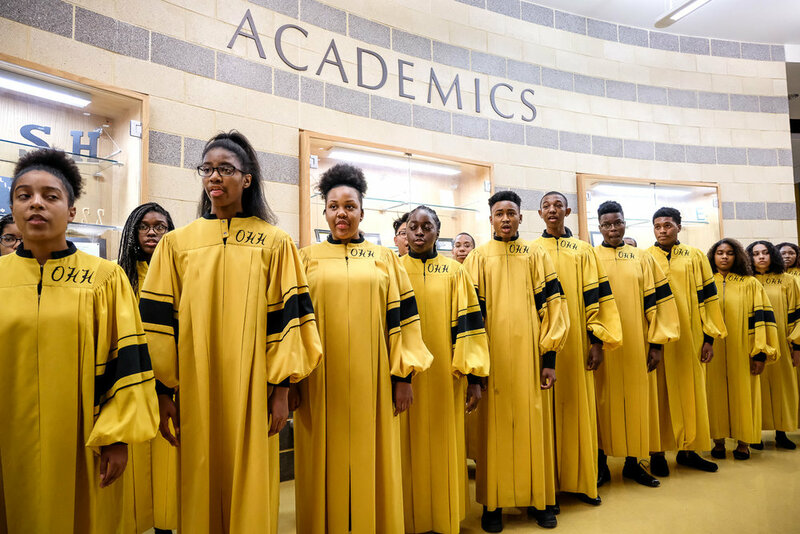 From the band to the choir to the culinary arts students, Oxon Hill High set and maintained a high bar from start to finish. A few of the Principals for a Day. ...but we need lots more. Business community: here is your talent pool. Get involved in creating the kind of employees you want to hire. 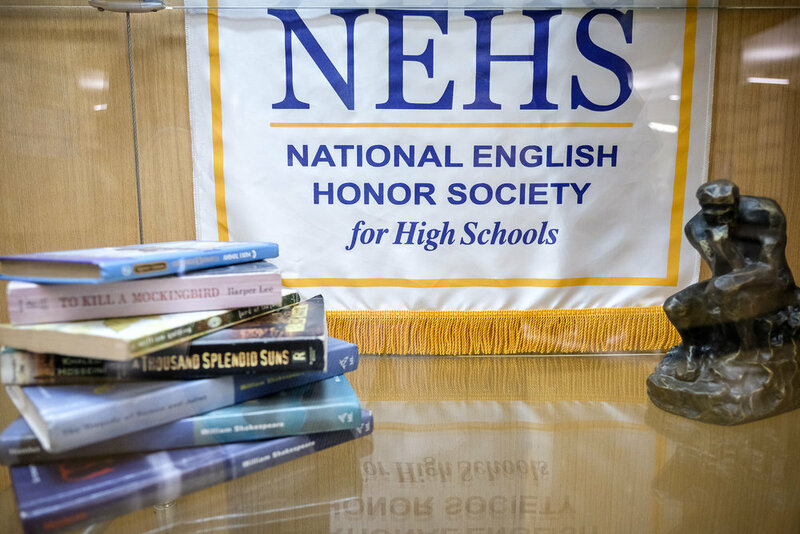 Volunteering to be Principal for a Day gives you an opportunity to directly engage the people who help shape the curriculum that produces your next generation of talent. That is, of course, after they make a stop or two or three and pick up some additional credentials. Only one of those logos really matters. I don't know why the rest of them are even up there. 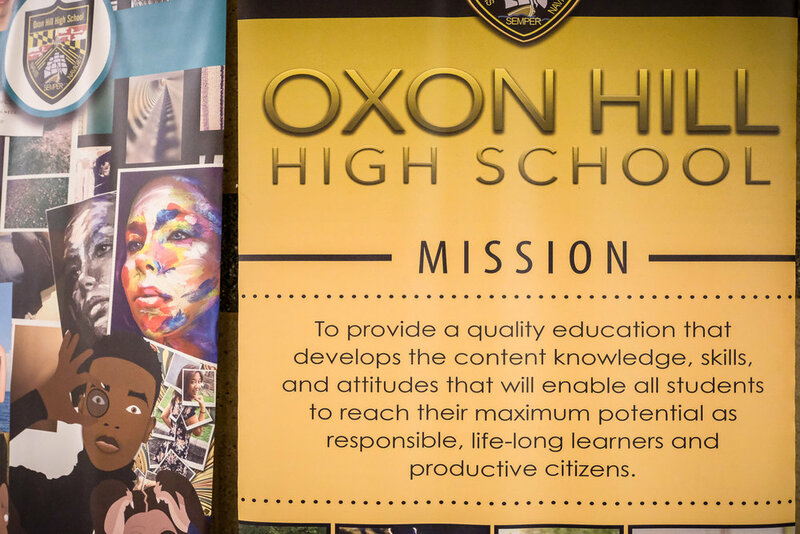 I was only there for one evening, but it is clear to me that the educators at Oxon Hill High School are in the business of building renaissance men and women. They could not have done a better job of showcasing this gem of a high school that's hiding in the shadow of the MGM casino. 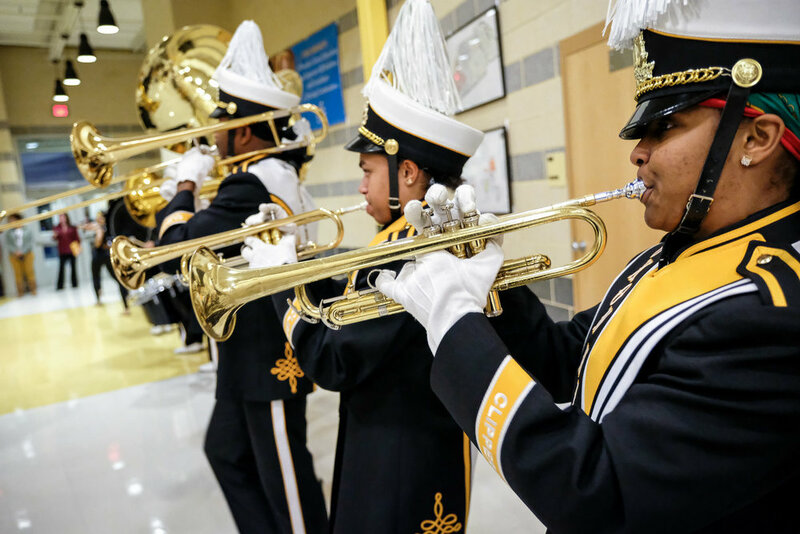 There's a lot going on at National Harbor and a lot going on right next door at Oxon Hill High. 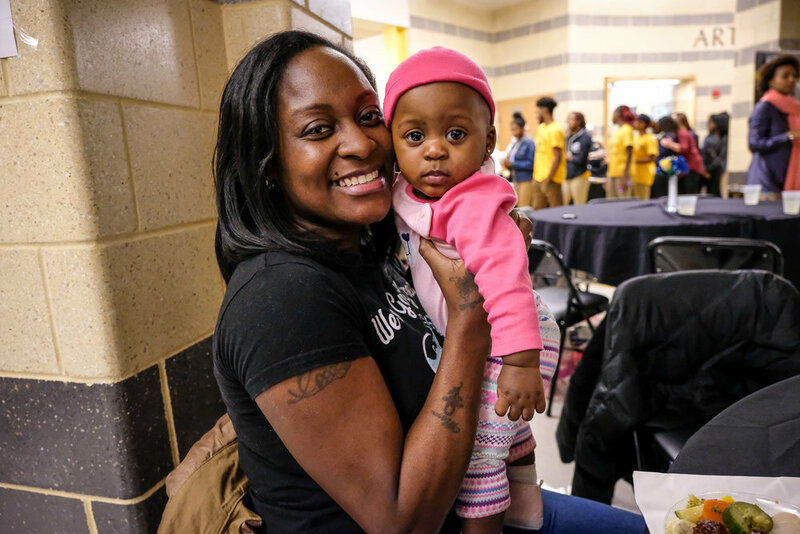 I hope there's already a partnership or a feeder program of some sort between Oxon Hill High School and the harbor. 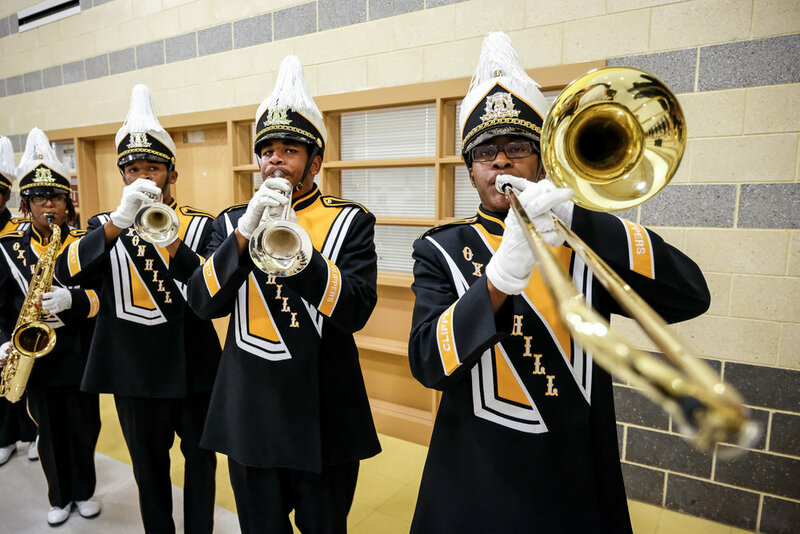 National Harbor is in the hospitality and entertainment business and Oxon Hill High School is clearly equipped to supply a trained and motivated workforce. 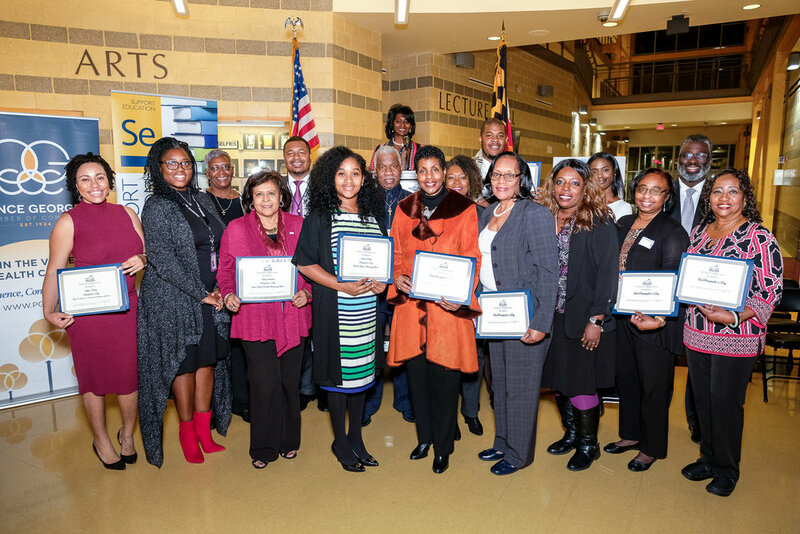 I was blown away by what I saw and I encourage everyone in the business community to reach out to the chamber of commerce to find out what kind of magic is happening in a Prince George's County Public School near you. 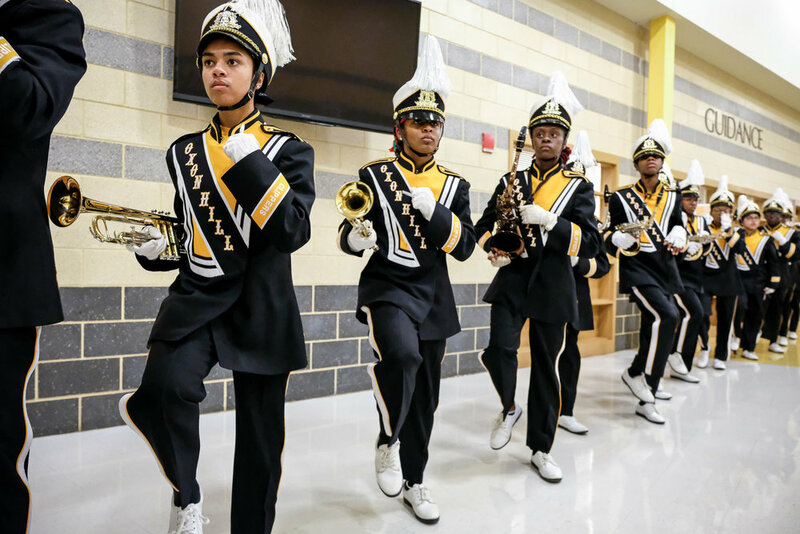 I can't imagine that the management of the venues at National Harbor is unaware of the great work being done at Oxon Hill High School, but, just in case, if you work at National Harbor and didn't know about any of this, reach out to Chauka Reid at (301) 731-5000 to find out how you can be a partner in creating career opportunities for the talented AND hard-working students at Oxon Hill High School.